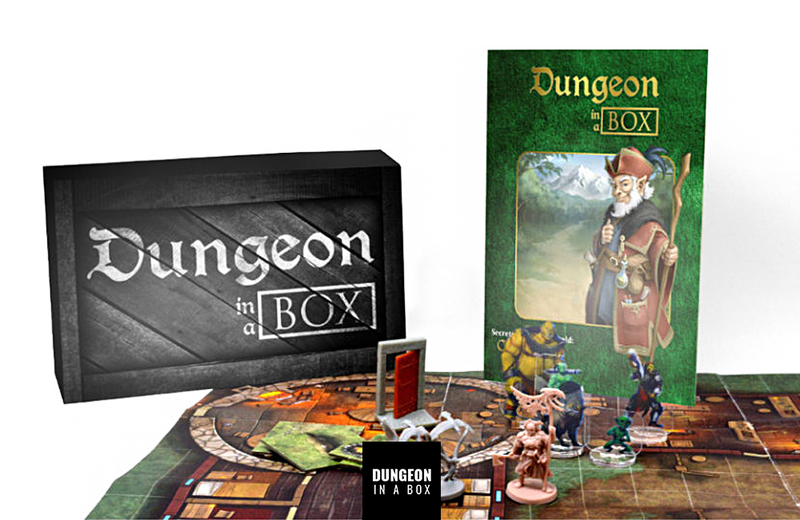 D&D fans can enjoy a new fantasy adventure for their gaming table every month, with the Dungeon in a Box recurring subscription service. Shipped out monthly, each box includes a 24-page adventure module, a 24-inch x 18-inch fold-out, double-sided battle map, two paintable, premium sculpted minis, a set of flat plastic pawns with bases, and a monochrome campaign map. The adventures are designed to be compatible with the 5th Edition of D&D and can be scaled for any party from levels 1-10. While each box works as a stand-alone adventure, they can also be woven into a 12-part campaign called Secrets of Greenwold. Groups interested in undertaking this year-long, world-spanning quest get supplemental digital content tying the monthly adventures together into a cohesive campaign arc. The on-demand service starts at $29.50/month, which includes free shipping in the U.S. The company is also shipping to Canada and the UK with the goal of expanding to other countries in the future. What do you get when you combine the spatial-thinking skills of chess with Class 1 lasers? A STEM-focused toy from ThinkFun called Laser Chess, the Beam Deflecting Strategy Game. To celebrate the Power Ranger franchise’s 25th anniversary, Build-A-Bear Workshop has released a Green Ranger bear.